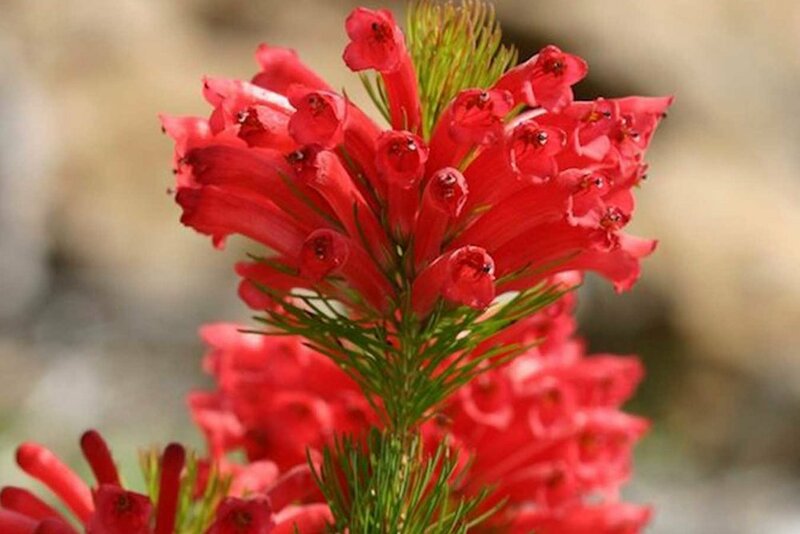 Adenanthos sericeus is part of the Proteaceae family and is commonly known as Woolly Bush and it’s a native shrub of the south coast region of West Australia. 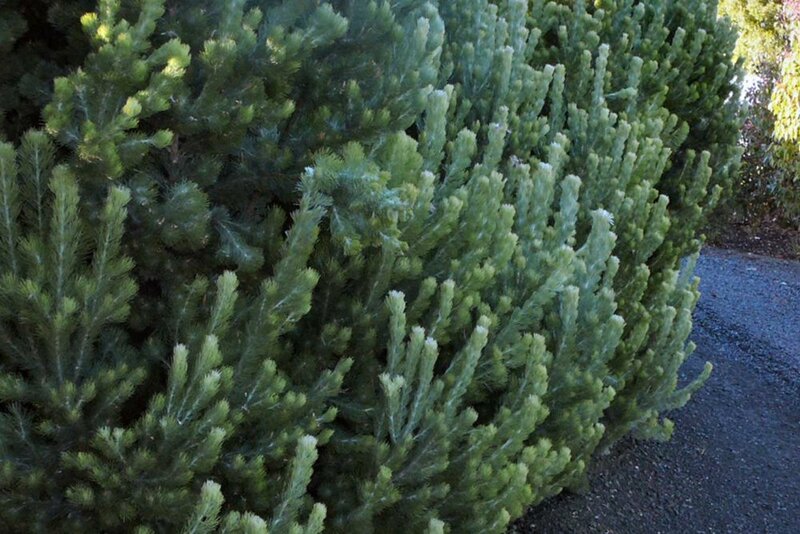 The pine-like branches of this evergreen have a wonderful, soft, velvety texture – totally unlike spiky pine needles. The stunning silver green colour of the foliage along with the leaves’ velveteen friendly feel are its’ two outstanding features. It has a compact habit and grows into quite a large shrub. 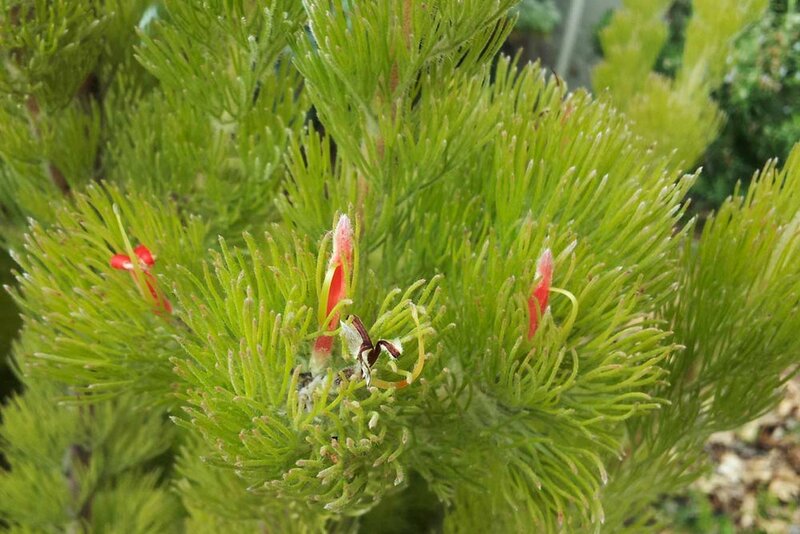 It’s a wonderful plant for hedging, screening, windbreaks, and is great as a feature plant, it also makes the perfect alternative Christmas tree when potted into a lovely container. The fast growing Woolly Bush produces pretty pinky red flowers in Spring and Summer which attract nectar eating birds. It prefers a cool temperate, Mediterranean climate, tolerates a light frost and likes a light shade – sunny spot in the garden and doesn’t enjoy too much soil moisture, preferring a dry, well-drained soil.